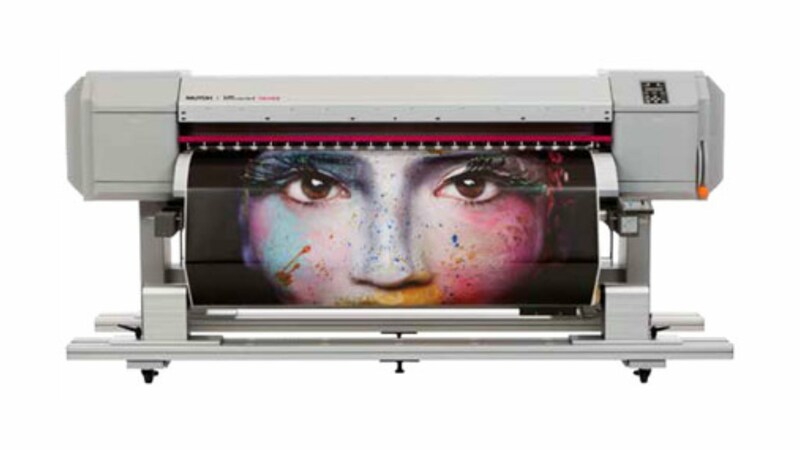 Mutoh ValueJet 1638X printer, creating durable prints on coated & uncoated substrates up to 1625 mm (63.97”), has been specifically developed for high quality volume production of sign and display graphics, for long term outdoor applications as well as durable prints for indoor use. The printer produces posters, backlit signage, wall coverings, point-of-sale displays, fine art reproduction, vehicle graphics, stickers and much more. A staggered dual head setup with latest generation 1440 nozzle piezo heads is at the heart of the VJ-1638X’s stunning performance. The ValueJet 1638X produces sellable top quality graphics at typical production speeds up to 36 m²/h (720 x 720 dpi). VJ-1638X reaches top speeds of 94 m²/h.